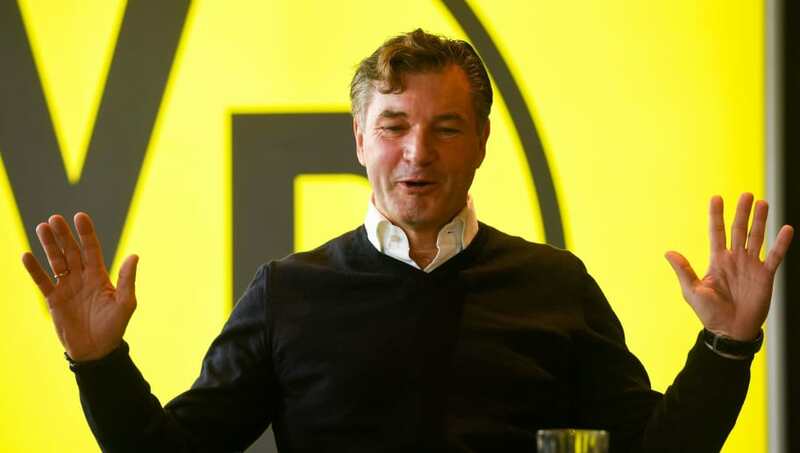 Borussia Dortmund sporting director Michael Zorc has conceded he now believes that the English football system has surpassed Germany in terms of producing talent. Jadon Sancho's move from Manchester City to Dortmund in 2017, and the staggering progress he's made since, has paved the way for fellow youngsters to make the same move, primarily because opportunities at first team football are far greater. And, speaking on this development, as quoted by the ​Daily Mail, Zorc explained: "It seems to me they overtook us. Let's go back, say, five to 10 years, there was a time when English clubs signed German players. "There was a lot of discussion here. You know, it's all about money, it's too early for them to go to England but in the meantime we feel the education and development of youth players in the English academies is quite good. "The teams don't only spend much money on transfers or salaries but also on infrastructure. When you see these youth academies - for example ​Manchester City - you can't compare it with the German standard. It's much higher, much higher. Only Eden Hazard (10) and Lionel Messi (10) have registered more assists in Europe's top five leagues this season than Jadon Sancho (9). "And also it seems to me that it's something like a business model for them because even if they don't succeed in their own teams they sell them for higher prices. I read that Manchester City have sold young players for more than £150m in the last three years. "You can recognise it also in results. The English teams are reaching Under 17 and Under 19 finals." Rabbi Matondo, Emile Smith Rowe and Reece Oxford joined Sancho in the ​Bundesliga this January, the former in a £9.6m deal to Schalke, the others on loan moves to RB Leipzig and FC Augsburg respectively. Another man who's flourishing in Deutschland is Reiss Nelson, who is set to face Jadon Sancho & co. in the Bundesliga this weekend. Speaking ahead of this poignant clash, the ​Dortmund starlet admitted: "We go way back. We used to play with each other in youth games and that's how we really got close, helping each other, grab a ball and play with friends in the cages. "It will be very nice to stand on the pitch with him. I hope we get that opportunity, it will be a nice memory for our families as well, coming from the same area and hopefully being proud of us."